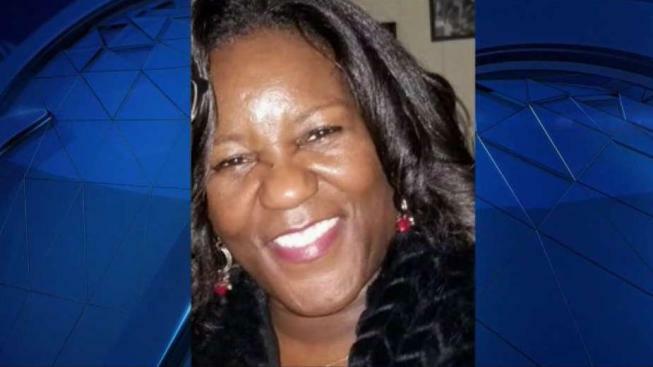 A Maryland woman whose death last year was blamed on an attack by a panhandler was actually killed by her husband and his adult daughter, police said Sunday. Keith Smith, 52, had told police that his wife, Jacquelyn, an engineer from Harford County, was trying to give money to a panhandler at a traffic light when she was robbed and fatally stabbed. Her death attracted national attention and prompted many to regard panhandlers warily. Even Oprah Winfrey, whose early career included several years covering Baltimore news, commented that she would "think twice" about giving to panhandlers after reading about Jacquelyn's death. But at a news conference Sunday, Police Commissioner Michael Harrison said the panhandler story is not true. He announced first-degree murder charges against Keith Smith and his daughter, Valeria Smith, 28. Both were arrested in Harlingen, Texas, near the Mexico border. Harrison said the two were preparing to leave the country. Baltimore police sent out national notifications upon learning that the Smiths had left Maryland. Harrison did not explain at the brief news conference what specific roles police attribute to Keith and Valeria Smith, nor did he articulate a possible motive. He said at the news conference that the concocted story took advantage of negative perceptions of Baltimore crime and credited detectives for their work in solving the crime. “Oftentimes we have these negative depictions about our city, and it’s rather unfortunate when people take advantage of these negative perceptions,” Baltimore State’s Attorney Marilyn Mosby said. "Like everyone in our city, state and across this nation, we mourned the senseless killing of Jacquelyn Smith. To now learn that family members staged this brutal killing is beyond belief and represents a double tragedy," Baltimore Mayor Catherine E. Pugh said in a statement. "They were responsible for taking Jacquelyn's life with unconscionable cruelty and contrived to do so in our city under the guise of random violence, exploiting the legitimate fears of our residents." When Smith's Dec. 1 death was initially reported, police said she lowered her car's front passenger side window to give $10 to a young woman who appeared to be holding a swaddled infant and a cardboard sign reading: "Please help me feed my baby." It was then that a man supposedly approached the car and struggled to take her wallet. He then supposedly stabbed her and ran off along with the female panhandler. After his wife died, Keith Smith gave numerous media interviews and lobbied the city to pass legislation to ban panhandling at city intersections. He said he wanted the law to be named for his wife. It wasn't immediately known if Keith Smith and Valeria Smith had attorneys who could comment for them.